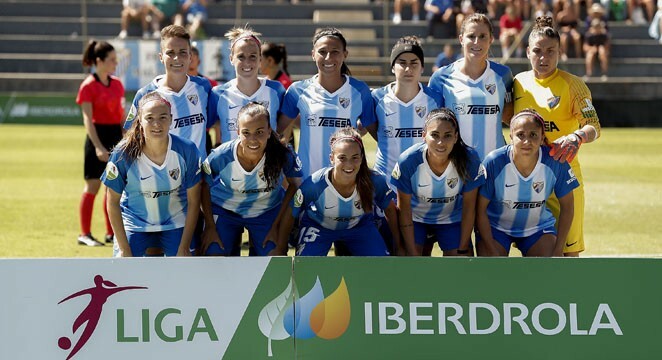 Atlético Málaga was the first women’s club founded in Andalucía, in 1992. During its 23 years of history, the team has spent 15 seasons in the First Division, providing a dozen footballers to play for Spain. Their most successful year was 1998 when they won the triple; Spanish League champions, the Copa de la Reina and Spain’s SuperCup; the first football team to do so. They were also named runners-up in the Copa de la Reina in 1997, and achieved First Division promotion three times. Currently, MCF female team has three teams in competition; one in the senior category competing in Group 4 of the Spanish Second Division; and a reserve team in the Cadete category, competing in Group 3 of the 4th masculine Andaluza Cadete division in Málaga. Up to 10 players currently in MCF female team are regularly called-up by the Andalucían Federation. The last time the Blue and Whites were in the First Division was in 2010/11, until the brilliant promotion to the Liga Iberdrola in the 2017/18 season. Actually, Hamyan Al Thani, CEO of Málaga CF Academy, is the president of Málaga CF Female. 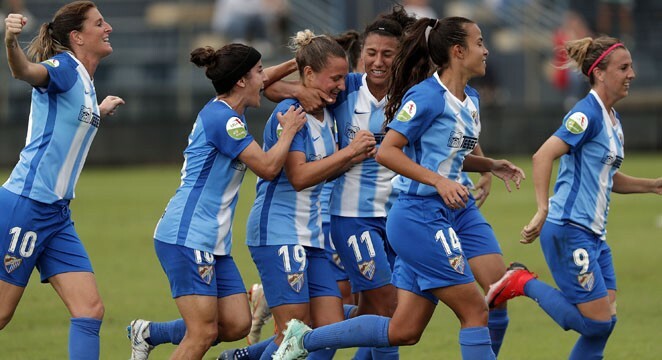 The Málaga CF Femenino coach advocates turning the page after #BarcelonaMálaga and focusing on the crucial match against Sporting de Huelva. The Blue and Whites couldn’t contain the attacking power of Barcelona, who asserted their superiority with a big win at their home ground. Liga Iberdrola matchday 27 gets underway on Saturday at 18:30 at the Ciudad Deportiva Joan Gamper, where Málaga CF Femenino will be seeking points against FC Barcelona Femenino.